Please join the Dallas Business Club as we welcome the Class of 2019 MBAs who are currently interning in Dallas! 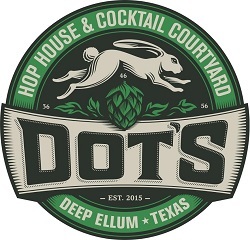 We'll have tables reserved outside at Dot's Hop House with complimentary appetizers and a cash bar. Feel free to invite any MBA interns or graduates who have recently relocated to Dallas to introduce them to the DBC. Partners and dogs are both welcome to this casual networking event! Dress Code: Casual. Hope to see you at Dot's, and please email camille.wingo@gmail.com with any questions! Dallas Business Club is North Texas’ premier professional networking association focused on MBA alumni from 27 renowned domestic and international MBA institutions. Find out more about our upcoming events and sign up for our emails at www.dallasbusinessclub.com. If you want a printed name tag, please RSVP by Tuesday, June 19th at noon.